May Day – Run. Ride. Roam. 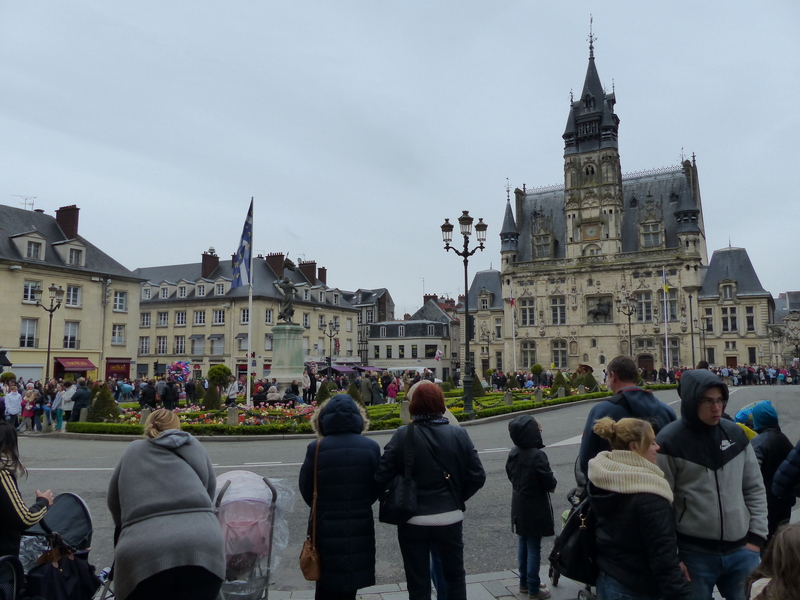 Today we spent another day in Compiegne, partly because the weather was forecast to be awful and partly because there was another museum we wanted to visit, that we hadn’t been able to get to yesterday. It was a public holiday here for May Day, and we had a slow and easy start in our warm and dry room, while we waited for the weather to improve. By about midday the rain had eased, so we layered up in our “slicks” so we were waterproof from head to toe, took our naked bikes and set off for a 12km ride to the Armistice Museum. 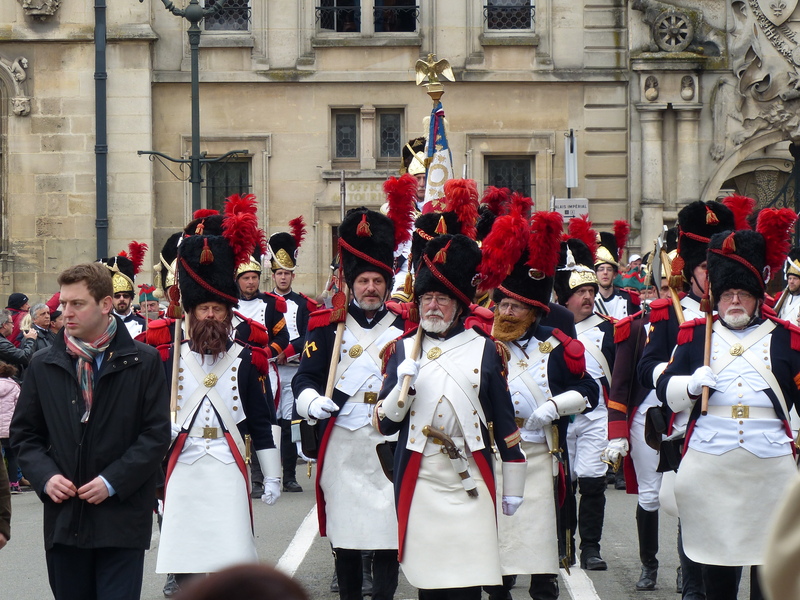 Compiegne was the setting for the signing of the armistice on November 11, 1918 and the armistice between France and Germany in 1940, when Germany became the occupier. The ride out to the museum was lovely. We had a bike path the whole way, a lot of it by the river again and as we drew near, we had those beautiful trees to ride through too. It rained again, so we had a ride through the trees in the wet, but it was still lovely. 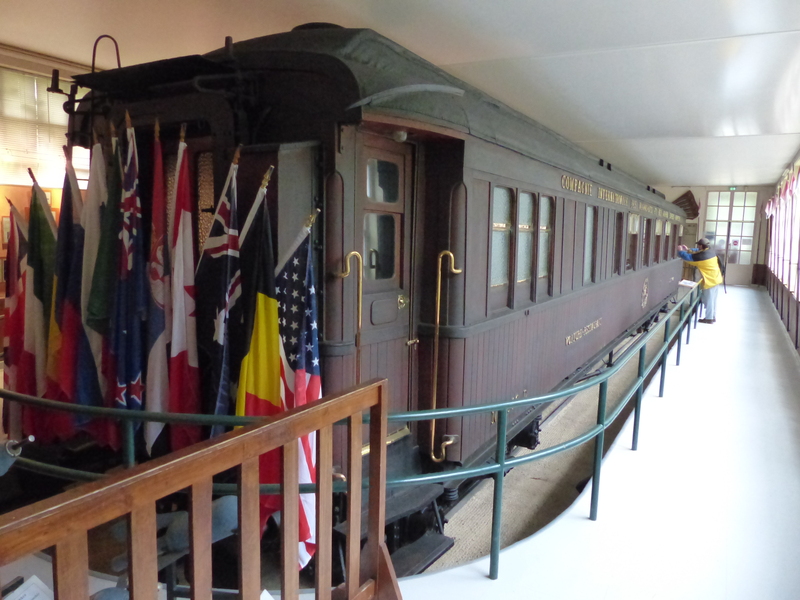 The museum is set in a clearing, in the middle of a forest, where the train carriage was brought in 1918 and 1940 for the signing of each armistice. 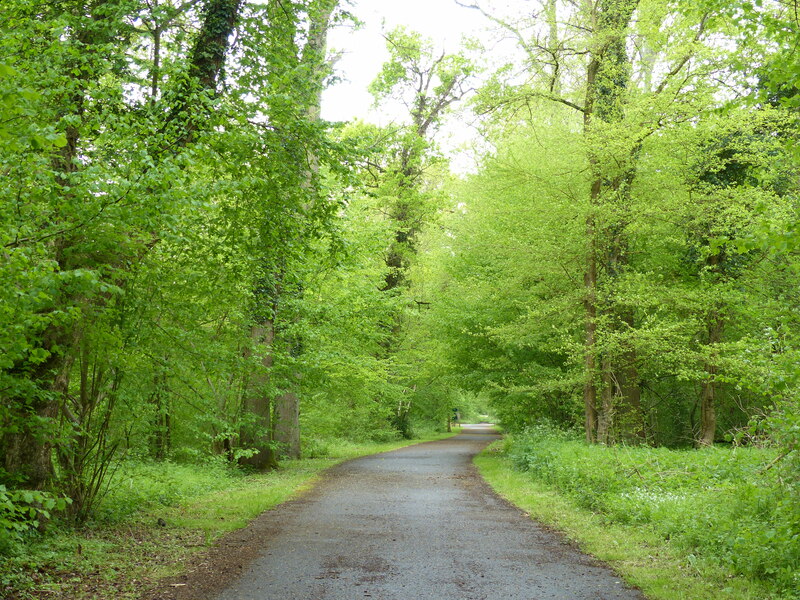 At that time, there was no clearing, just the forest with the railway line running through it. This location was chosen for the signing in 1918 because it was out of sight and couldn’t be seen from the air. 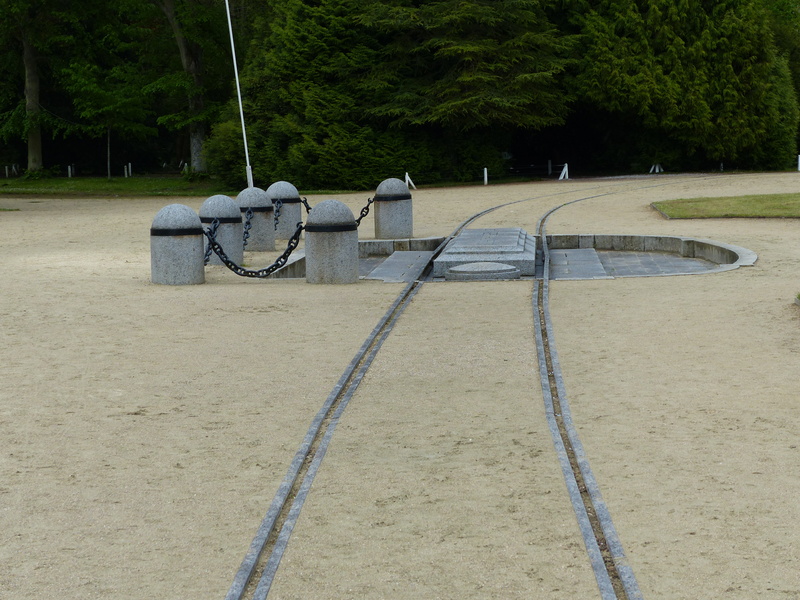 The carriage is at the museum and the fact that it’s at the actual site, in the forest and not in a city location, made it all the more significant because we were actually there, at the original site. 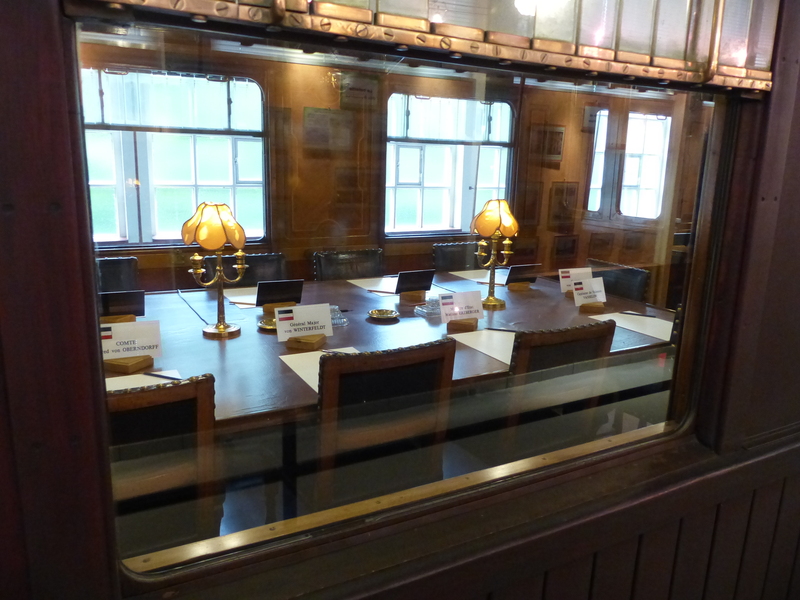 In the museum we saw the carriage that was used for signing each armistice. 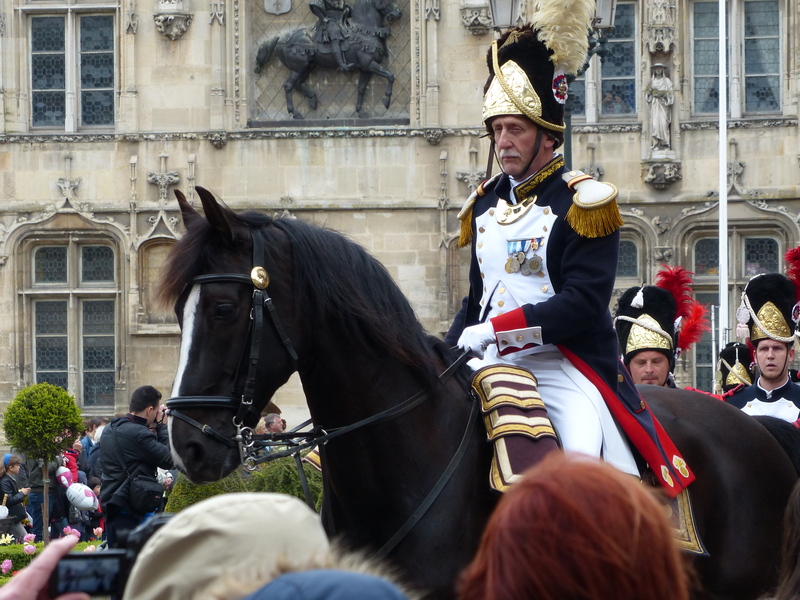 In 1918, it was used to sign the armistice that ended WWI and then when Germany occupied France, Hitler took the symbolic action to have that same carriage brought to the same place in order to have France sign their agreement to a German occupied France. 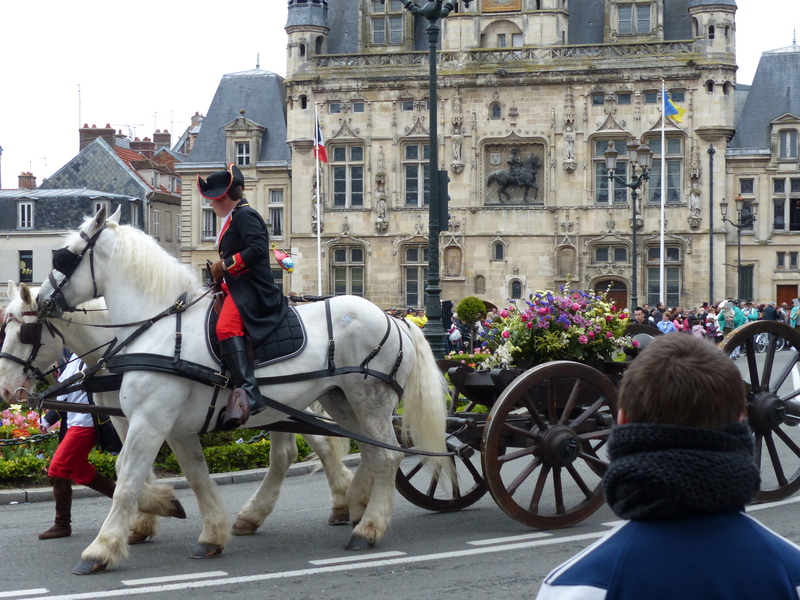 The carriage we saw is not the original because the Nazis destroyed that one, but it’s the same type of carriage from the same “line” so to speak, so everything is the same. 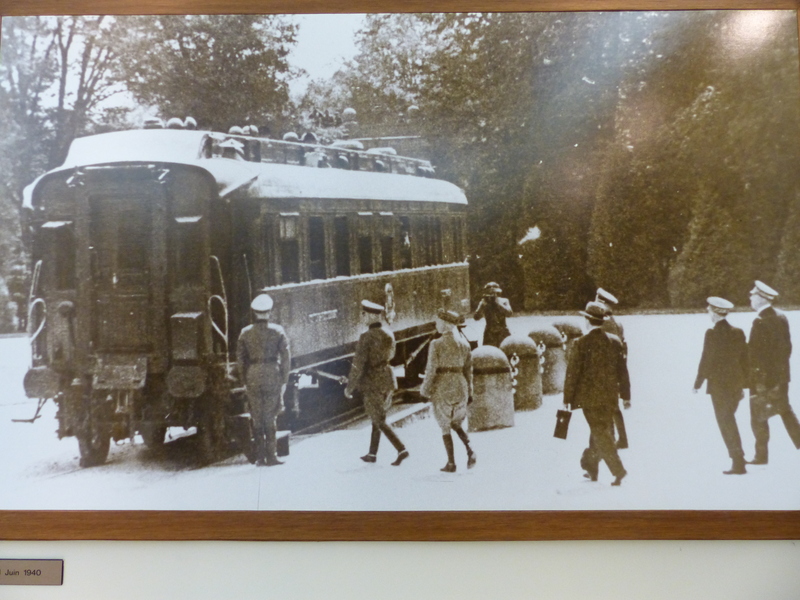 It was also set up with the place settings and interior as it was in 1918 and 1940. It was another moment of feeling quite struck by the fact that we were standing in a place of such importance and seeing objects of such significance and I sure felt the power of history there. 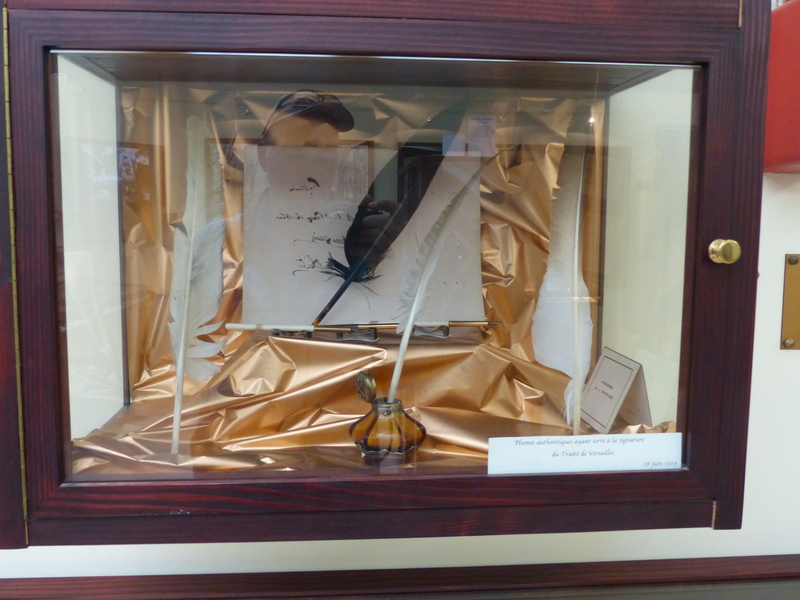 The museum also had the original quills that were used to sign the Treaty of Versaille, so this tiny little museum, sitting seemingly in the middle of nowhere in a forest was holding some incredible artefacts from powerful moments in history. I’m so glad we stayed another day and were able to visit. 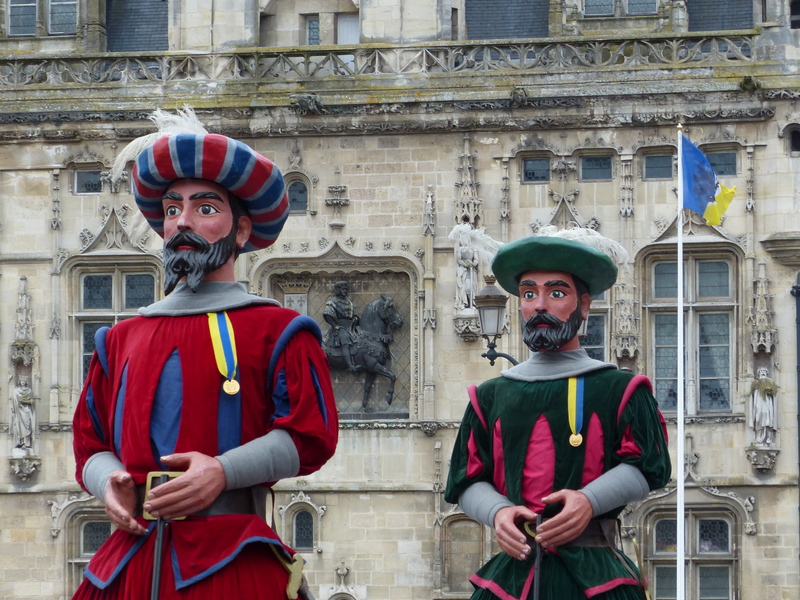 On the way back, we stopped in the city because a parade was about to begin to mark May Day. We walked the bikes through the growing crowds and took up position. 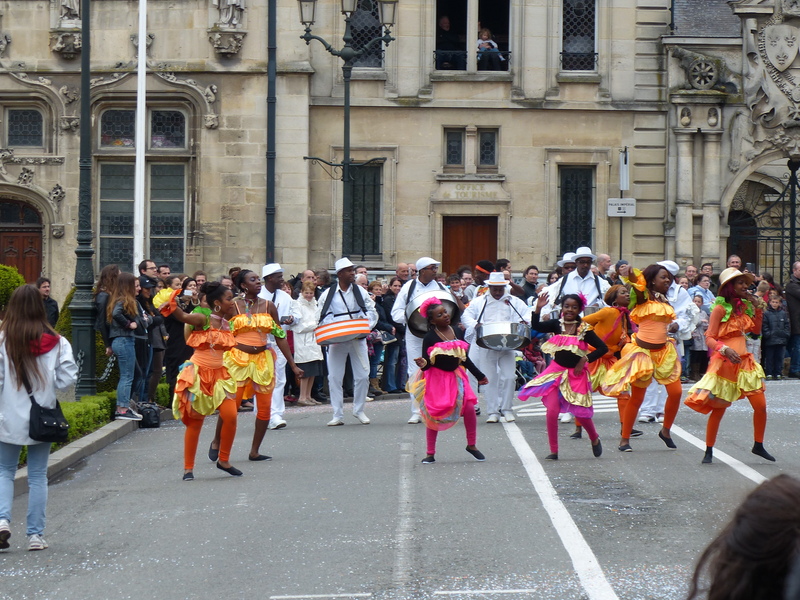 The parade was fun, with fantastic brass bands, dancing, carriages…lots of sound and colour. When a band comes by with trumpets and drums playing the theme song from Rocky, it can only put a smile on your face and a wiggle in your hips!